Three down, 67 to go. That’s the latest score in the California State Parks survival game. Earlier this month, the National Parks Service said it would take over three state parks on the 70-park closure list announced by the state to save money. 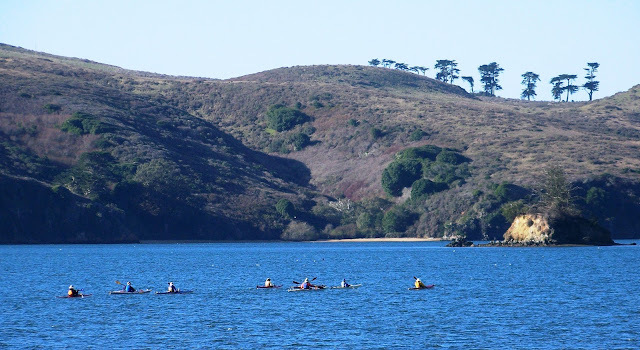 The three parks include Tomales Bay – of significant interest to Northern California kayakers, although Tomales has other federal and local park access points for paddlers. All three already had fed connections: Tomales is within both Point Reyes National Seashore and the Golden Gate National Recreation Area. Samuel P. Taylor State Park, also in Marin County, is located in the Golden Gate National Recreation Area. And Del Norte State Park is in Redwood National Park near Crescent City. “For now, this is a one-year trial and does not relieve the backlog of deferred park maintenance and the need for long-term infrastructure repairs,” says Christine Sculati. She writes an authoritative blog on non-profit groups that tracks the unprecedented state effort to place at least some parks in the care of private organizations. According to Sculati’s report, “The National Park Service also continues to work with the state to sort out operating plans for a total of 16 parks that must stay open under federal law,” because they have federal protection and/or partial funding. Since parks are a major asset to kayakers and other outdoor enthusiasts, NorCal Yak has launched a new post category, “Parks for paddlers.” See the index (home page, top right). We'll focus on kayaking-related park issues as they develop.